On 9 October 1967, Ernesto Che Guevara, Marxist guerrilla leader and hero of the Cuban Revolution, was captured and executed by Bolivian forces. When the Guevara family learned from the front pages that Che was dead, they decided to say nothing. Fifty years on, his younger brother, Juan Martin, breaks the silence to narrate his intimate memories and share with us his views of the character behind one of history's most iconic figures. 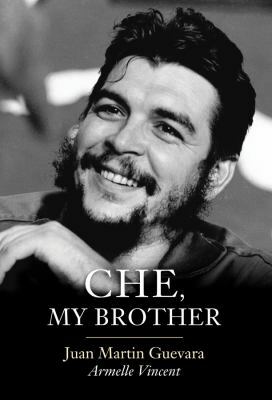 Juan Martin brings Che back to life, as a caring and protective older brother. Alongside the many practical jokes and escapades they undertook together, Juan Martin also relates the two extraordinary months he spent with the Comandante in 1959, in Havana, at the epicentre of the Cuban Revolution. He remembers Che as an idealist and adventurer and also as a committed intellectual. And he tells us of their parents - eccentric, cultivated, bohemian - and of their brothers and sisters, all of whom played a part in his political awakening. This unique autobiographical account sheds new light on a figure who continues to be revered as a symbol of revolutionary action and who remains a source of inspiration for many who believe that the struggle for a better world is not in vain.